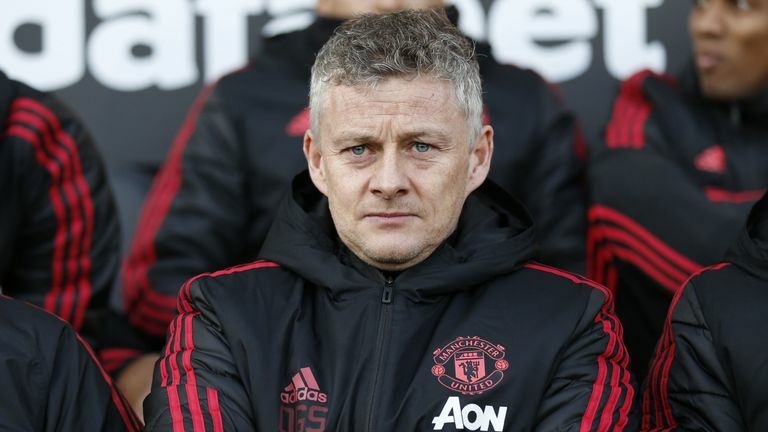 Manchester United caretaker manager Ole Gunnar Solskjaer say it is "too simple" to see the upcoming games as his chance to secure the role on a full-time basis. Saturday's victory at Fulham took United into the Premier League top four for the first time since the opening weekend of the season. When asked if it was too simplistic to suggest that a string of victories could force the board's hand with regard to his future, Solskjaer said: "Yes, it is too simple. "You need to change the script soon, because you have so many ways of asking that question! Solskjaer believes his side face a tough task against PSG - who will be without Edinson Cavani and Neymar - in the Champions League, but thinks United's impressive run of form means the game arrives at the perfect time. "We have given ourselves the best possible opportunity, with the way we have gone into this game," Solskjaer said. "We are confident, we have found out what kind of team we have. We are looking like a team, we are agreeing on how we should approach games. "If there was ever a chance or a time to go into a big game like this, it is now. "We are looking forward to this. It is both the supporters and the players who have been looking forward to these nights, because they are special. "My last one was when we beat Roma 7-1 (in April 2007). I came on, (it was) a typical Old Trafford night. "We lost the first leg 2-1 away from home and the manager (Sir Alex Ferguson) was so happy. He said we will win at home, he was so confident in our abilities. "I just want my players to go into the game confident and embrace the game."